Doc Coles SASS 1188 had the most liked content! With very few (very expensive) exceptions, original all matching wwii M1 garands are a myth. After the war, the military inspected and rebuilt guns in inventory to bring them up to spec and correct problems identified in service. For example, they redesigned the rear sight to get rid of the locking bar (which was itself a fix) and either modified or replaced the op rod to get rid of a sharp corner that had a tendency to crack. Given the fact that M1s fought through WWII and Korea and remained in service for decades, many guns got rebuilt several times. The armorers did not care about matching parts, they just grabbed the next part in the bin. As such, many of the “all matching” WWII guns out there are assembled by collectors using parts chosen for their date and manufacturer, not their condition. If I were going to shoot a WWII matching gun, I would check all the parts carefully to make sure they are safe and up to spec. WWII era barrels tend to have a lot of muzzle wear (primarily due to cleaning from the muzzle with the steel GI rod). Also, I would not recommend shooting an original uncut WWII oprod. They are scarce and can break. Lots of folks buy a postwar rod to put in when they head to the range. Personally, I purchased a 1954 Springfield with an excellent barrel and a late NM oprod to shoot and am working on collecting the proper parts for a WWII gun to have for the collection. This way I get two M1s, which is never a bad thing. I have had good luck with my stainless Springfield Armory Mil-spec. It is a pretty basic 1911, but a good gun to shoot as is or upgrade. The only thing that needed to be changed to shoot traditional in wild bunch was blacking out the three dot sights. I have changed a few things and replaced some parts to meet my taste (I shaped the fit of the grip safety and the back of the slide and frame, beveled and polished the mag well, added a flat mainspring housing and ivory grips, etc.). One of the nice things about a stainless gun is that you can work on it without refinishing. I like to fiddle and tune and a 1911 is perfect for that. I shoot a 230 grain round nose and it has never, ever bobbled. There are a number of good guns out there, pick one that meets your taste and budget. This really is a matter of personal taste. A well set up Colt SAA or clone is very reliable as are the rugers. I have broken parts in SAAs, clones, and Ruger single actions. I have a pair of Colt bisleys that I have been shooting in competition since the late 80s with no parts replaced. They do not have drop in parts and they need to be properly set up, but once they are, they are a joy. Personally, I enjoy having Colts, or where I can’t afford or find a variat I want, I buy clones (a flattop for example). The rugers are good guns, but they are not interesting to me. Again, personal taste, buy and enjoy what you like. Welcome. There is nothing wrong with the artillery model. As a matter of fact, that’s a nice gun. It all comes down to what you want. A lot of folks will tell you that Rugers are the way to go, but I like Colts and Colt clones. Get to a match and try out some different guns. But, keep in mind what you want to get out of the game. Undoubtedly. I load bp for my 45-90 and 50-70 (for sharps and 1870 trapdoor). I load both bp and smokeless for 45-70. The bp loads duplicate the velocity of the GI 45-50 carbine load (a period download of the 45-70 for use in cavalry carbines). 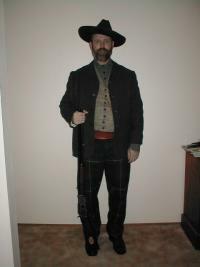 They are very pleasant to shoot in my 1886 winchester carbine or the H&R officers model trapdoor. I don’t own an original 45-70 right now, but am on the hunt. I would shoot bp in that. However, we have strayed a good bit from the point of the original post topic. Thanks for the tip. I have 1,000 plus of 45-70 cases, about 500 45-90 cases, and no need for 45-110. But the fact that Starline makes it just once a year kind of demonstrates my point that 45-70 is a bit easier to get components for. That is true, the real difference is in the brass. You can buy 45-70 brass everywhere. The longer brass is harder to find and more expensive. I load 45-70 for a couple of 1886s and trapdoors and 45-90 for one of my Sharps. I load different bullets in the 45-70 and 45-90, which changes the cost but that is personal choice. I have a Shiloh business rifle in 45-90 and a Shiloh Hartford rifle in 50-70. I love the bigger calibers and like to shoot bp. Having said that, the Pedersoli is a very nice, accurate gun and 45-70 is the easiest of the big sharps calibers to get components for. If you are going to shoot smokeless, there is no need to go with a longer case. The fit and finish of the Shiloh is a nicer than the Pedersoli but the Pedersolis are nice, cheaper, you can buy them off the shelf, and they shoot well. Hard to argue with that combination. Back in the day, for a while their website showed a Bisley flattop. I never saw it in their price sheet, but I would love to have one. They made nice guns. I have some Colt bisleys I like to shoot and would buy colts over the USFAs all things being equal. But, I am unlikely to be able to afford an original Colt Bisley flattop. A USFA would be a nice substitute. I might buy and work over one of the Uberti SAA flattops that Dixie Gunworks carries. As Mad Dog Jack noted, its 45-75 for an 1876 winchester, not 45-70. I load that as well for some 1886s and trapdoors, but that is cheaper than $82 for 20. Still, it is much cheaper to load 45-70 as well. I don’t have time to do the math but load a lot of odd cartridges that are insanely expensive. For example, 45-75 is $82 a box of 20 ($4.10 a round). I don’t have to price it out by component to figure out that reloading will save me a ton of money. I don’t reload 9mm or .223 (though I save the brass). Everything else I load. Yes, the mold I want is in their catalogue. I have other 50-70 molds for my modern guns but the Springfields have oversized bores (sometimes dramatically so). If you shoot Sami spec bullets in them they lead like crazy. Hence the need for a hollow base. As for payng the setup costs, it might come to that but I would be annoyed. This is the business they have chosen and it’s an item in their catalogue. It seems like they should make them more than once every three years. I looked at Accurate and Mountain Molds and they don’t do hollow base bullet molds.